I DREW THIS: Sunshine and rain. I am currently up in the Midlands taking a bit of a break before we move house next week. Its sooo nice to hang out with friends, take some little trips down memory lane and my black country accent is getting stronger every day!! I wanted to share with you my NEW cushion available to buy over at Envelop. 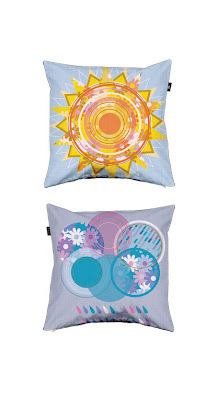 Part of my geometric range, it was inspired by the weather and how I wanted to be able to turn it over with Olive depending on sunshine or rain. 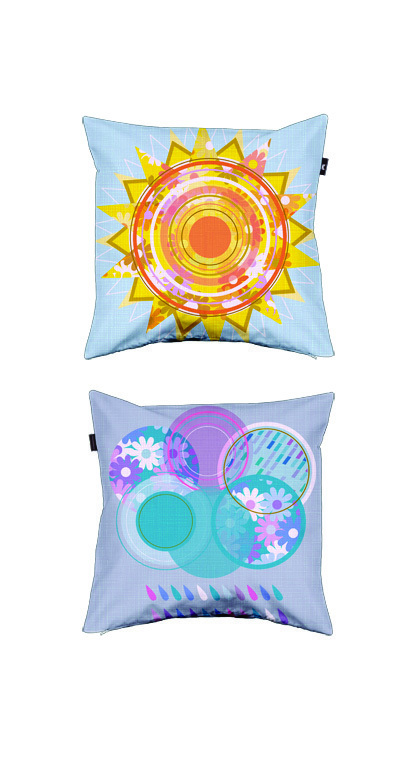 I have named the design Sol y llvia, sunshine and rain in Spanish.